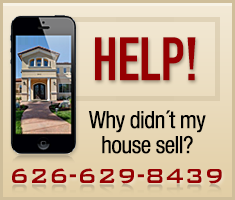 South Pasadena Home Sales website search offers all homes, condos and foreclosures for sale. Bookmark this page to see the latest properties on the market and create a home search account to receive new home listings daily that meet your real estate buying needs. Welcome to the beautiful San Gabriel Valley City of South Pasadena strategically located just south of Pasadena and north of Alhambra in Los Angeles County California. This charming Los Angeles County town is only six miles east of Downtown Los Angeles and brimming with a lively population of 25,000 plus jubilant families, neighbors and friends. South Pasadena was once a part of Pasadena but annexed and then incorporated in March 1888. This L.A. adjacent suburban retreat is quickly becoming one of the more sought after living destinations in the area due to the small town vibe and appeal it exudes. South Pasadena is a great destination for people of all walks of life and offers a very diverse real estate market well suited for family living. This vibrant community has a vast collection of Townhomes, condos and single family homes sure to please even the most discerning of home buyers. The opulent South Pasadena family townhomes, condos and family homes start in the mid $300’s and can go as high as the $2.9 million plus range. This wide variety of appropriately priced real estate truly offers something for families of all sizes with square footages ranging from as little as 800 plus to as much as approximately 6,000 plus square feet of family living space. This affluent region is served by the dedicated educators of the South Pasadena Unified School District for both primary and secondary educations. And with easy access to Downtown L.A., Pasadena, Alhambra and many other vibrant San Gabriel Valley cities the family fun here in South Pasadena is truly limitless. And don’t forget, mom and dad can take that extended weekend to Las Vegas in a moment’s notice with easy access out I-210 to I-15 and Las Vegas Here you come! So come on home to South Pasadena, one of Los Angeles County’s most sought after living destinations. Find out more about South Pasadena here. READ MORE: South Pasadena City Guide for restaurants, school district information and fun things to do!